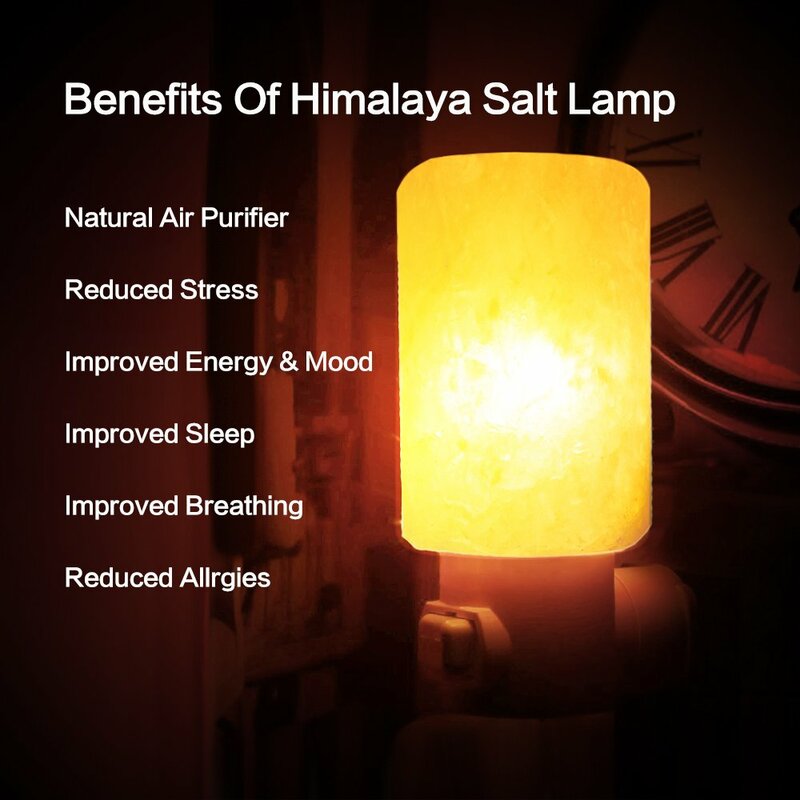 NATURAL AIR PURIFER: The Heated Salt release negative ions, the release of negative ions can purify air effectively, improve air quality, clean the air while emitting negative ions to fight the electromagnetic radiation, creates a welcoming ambience to relieve your stress, make you feel peaceful. 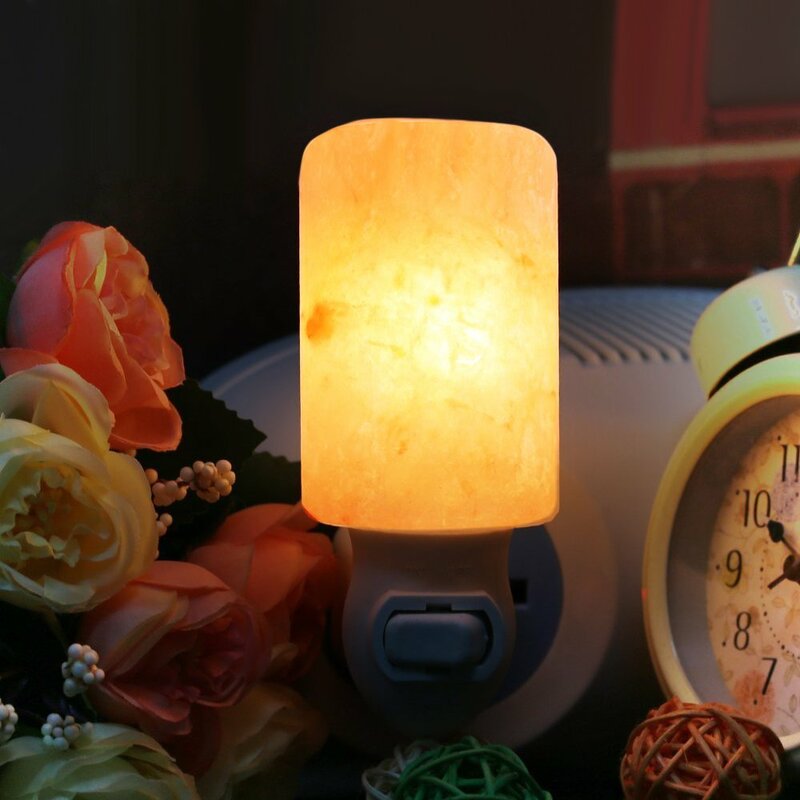 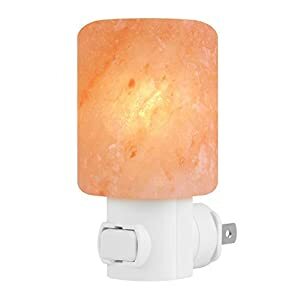 HOME DECOR: The crystal rock lampwith its beautiful soothing amber light brings divine harmony to any room, office , or yoga space. 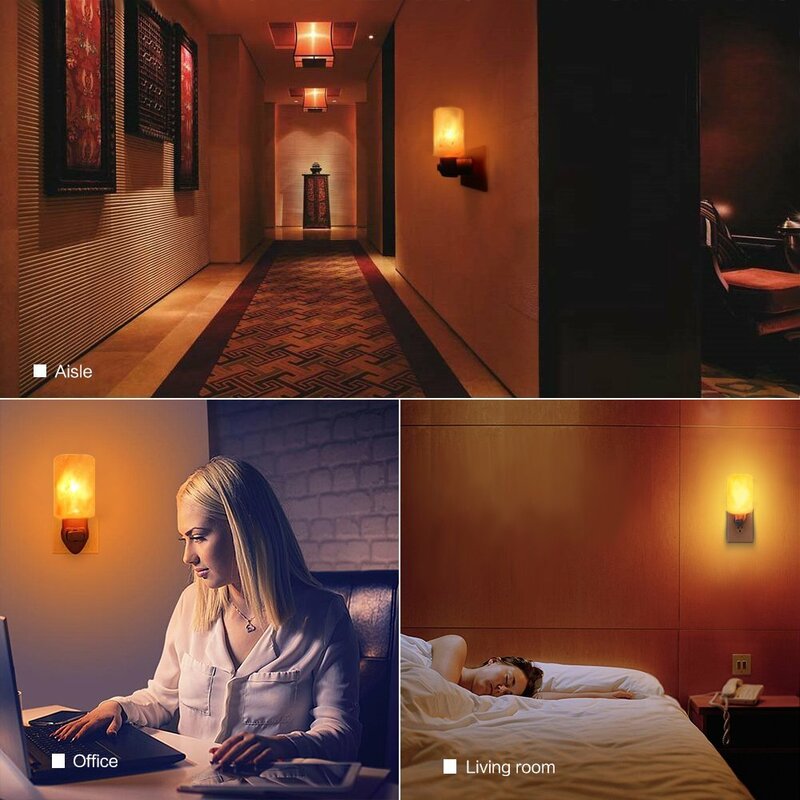 SAFETY GUARANTEEN: Similar as the photos shown but unique pattern and color, due to Natural Products, come with no cords to trip over or extra space needed; UL certificated plug – adjusts 360 degrees around for horizontal sockets. 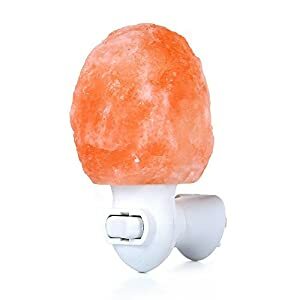 GIFT IDEAL: The artfully crafted shape of salt night light ranking them as practical and perfect gifts for any occasion. 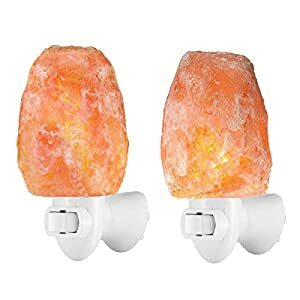 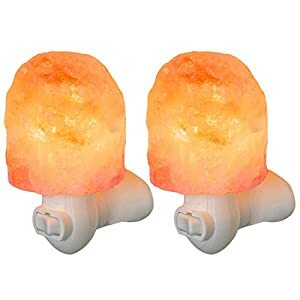 Our salt rock lamps help you convey your love for friends or family members. 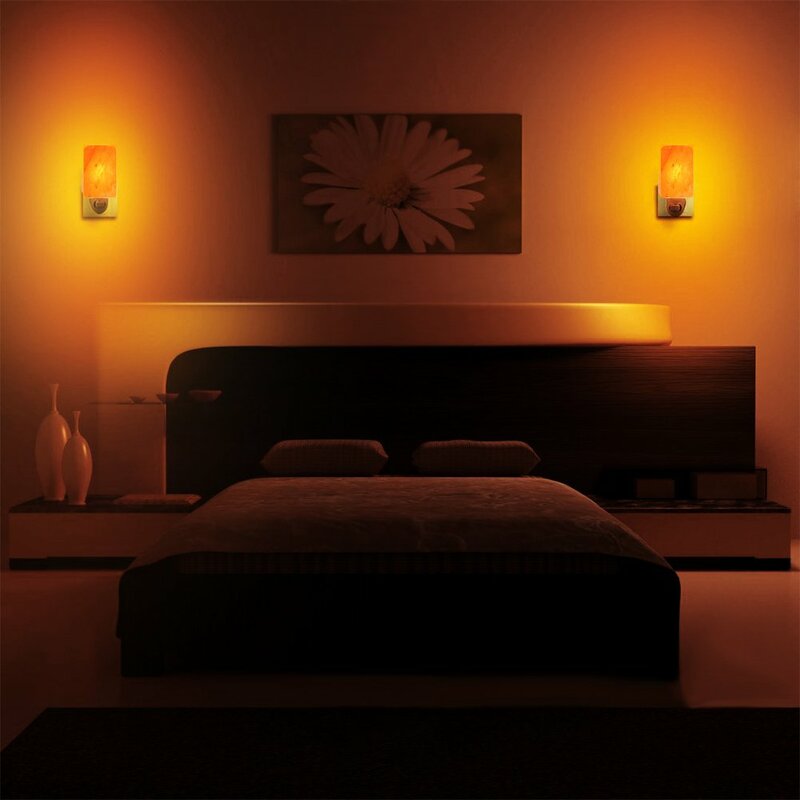 Express love and renewed energy in your home today! 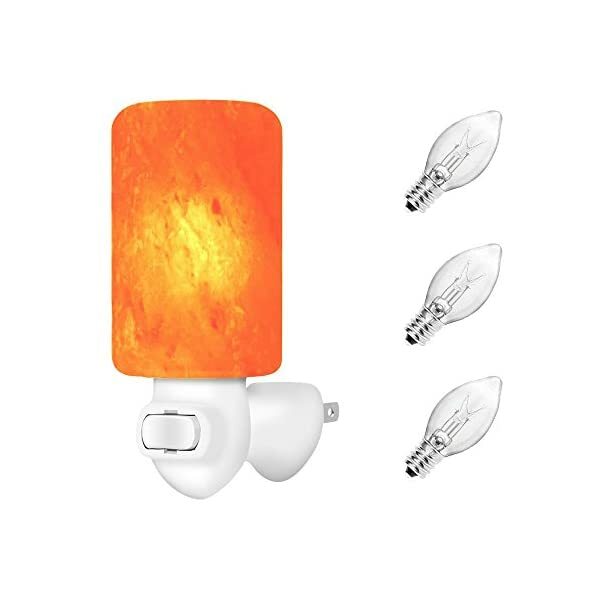 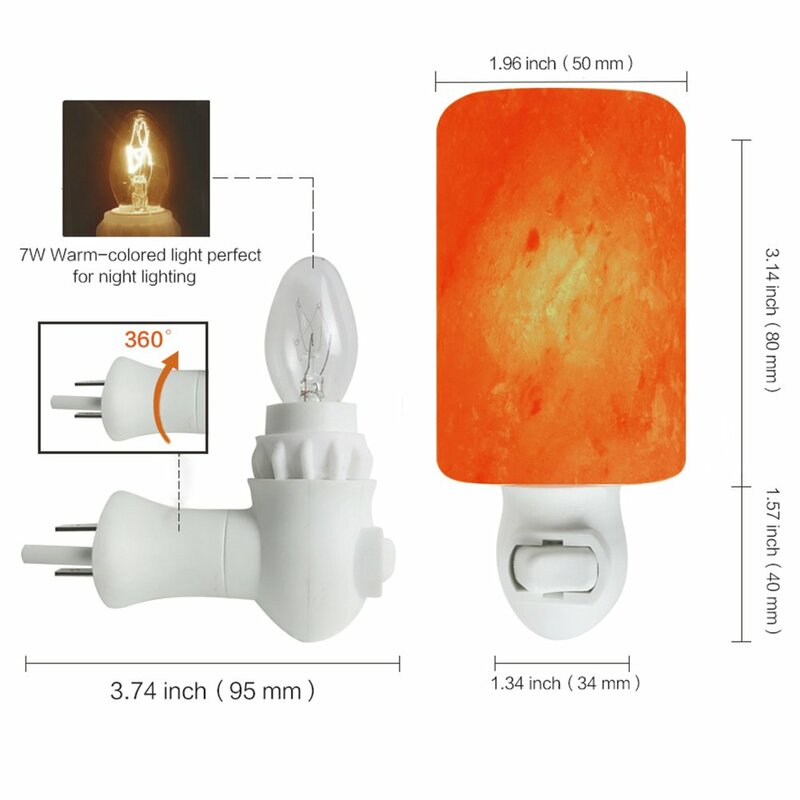 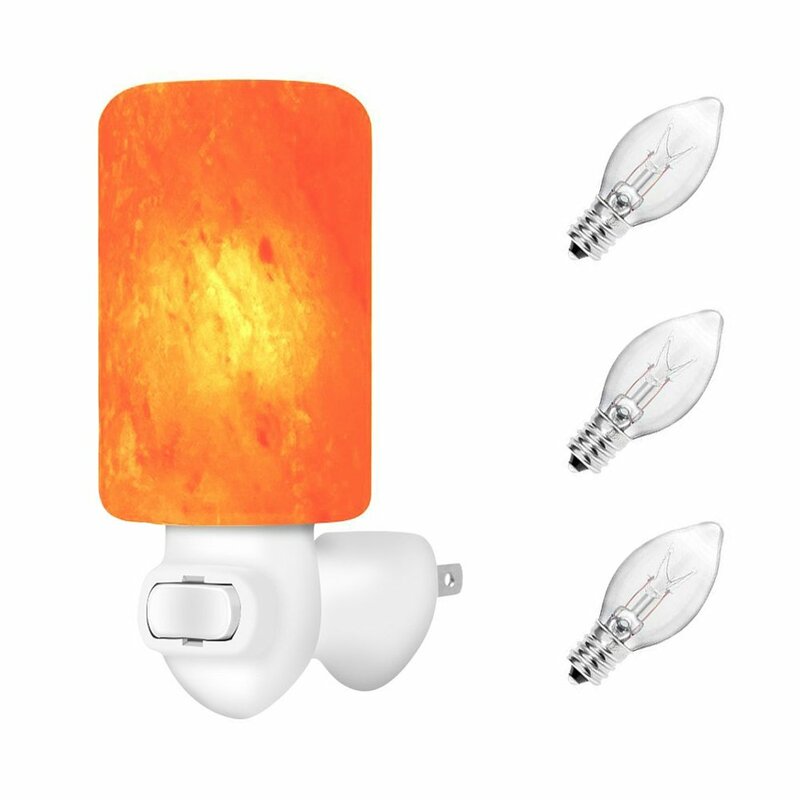 Warranty — The salt lamp enjoys 45 days money-back and 12-month, worry-free Guarantee!